A very particular place, a circular room furnished to the garden and dominated by a huge dome , more than 20 meters high, transformed into a charming lounge bar. The word "dome", translated from English, means "dome". 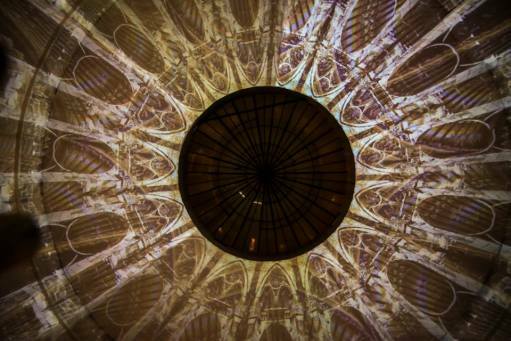 Special features of the Dome are the plays of lights and the animations projected directly on the dome , which will project you into a fantastic setting. Table reserved for the aperitif with espresso breadboard and one drink: € 10 per person, minimum two people. Table reserved for the aperitif with private buffet and drink: € 15 per person, minimum ten people, or € 18 with even dessert.